Hanoi (VNA) – The Vietnam National Petroleum Group (Petrolimex) will officially list 1,293,878,081 shares coded PLX at an initial price of 43,200 VND (1.90 USD) per share, according to the Ho Chi Minh Stock Exchange (HOSE). With a trading band of 20 percent for maiden listings, the price will vary between 34,560-51,840 VND (1.52-2.28 USD). PLX will be listed before the annual shareholders’ meeting of Petrolimex slated for the morning of April 25. The meeting is to approve business performance outcomes in 2016 and plans for 2017. 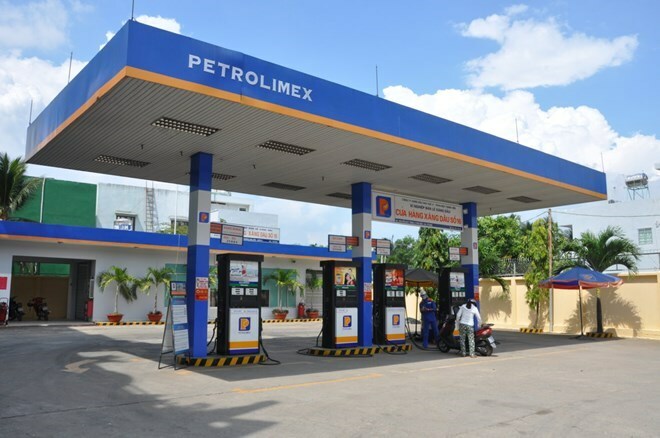 According to Petrolimex General Director Tran Van Thinh, in 2016, Petrolimex, the largest fuel importer and distributor of Vietnam, sold 11.44 million tonnes of fuel, exceeding the plan by 5.3 percent, with a revenue of 123.09 trillion VND (5.42 billion USD), and a coordinated pretax profit of 6.3 trillion VND (297 million USD), surpassing its plan by 58.8 percent. The initial price values Petrolimex at 67 trillion VND (2.95 billion USD), enabling it to enter the club of the ten biggest companies on the HOSE, together with Vinamilk (VNM), Vietcombank (VCB), Vingroup (VIC), PV Gas (GAS), FLC Faros (ROS), VietinBank (CTG) and BIDV (BID).